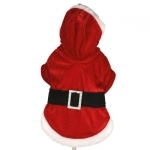 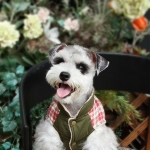 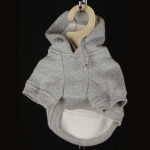 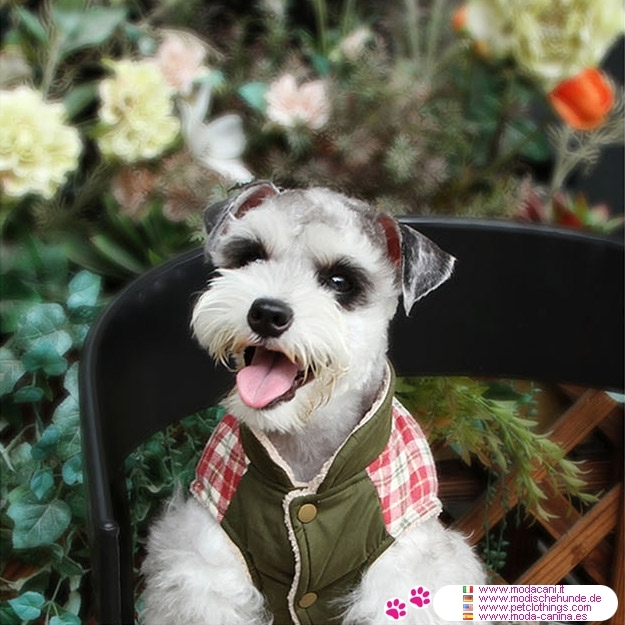 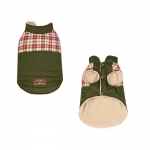 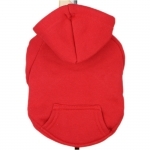 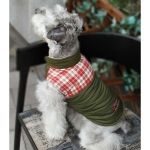 A winter coat for small dogs, warm because with plush inside. 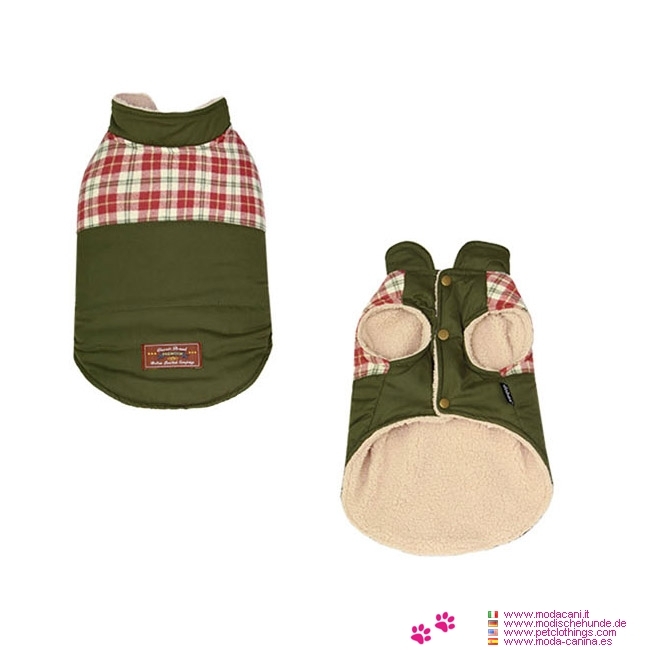 The back is made of solid green, with a checkered patch in the shades of red. 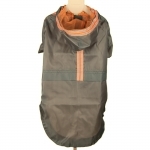 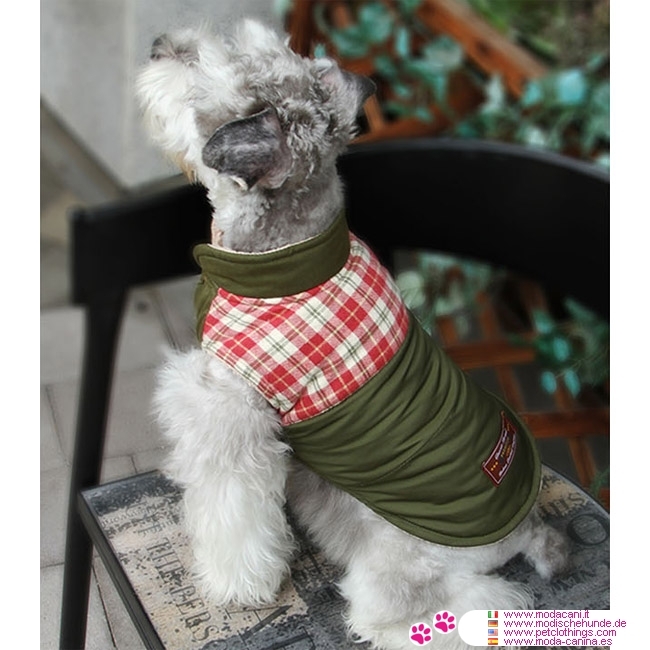 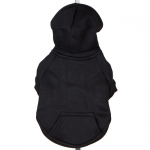 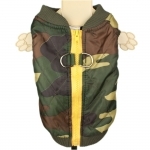 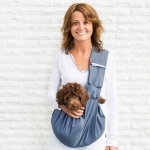 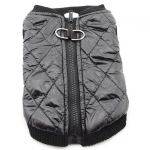 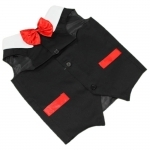 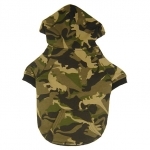 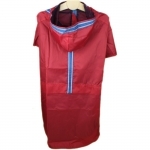 This coat is practical to wear to your dog: it's sleeveless and is without hood. 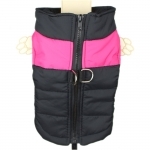 The closure is on the belly with snaps.